This entry was posted in Blogging on June 30, 2015 by Kira Makagon. This month on the Huffington Post, I muse about how companies generate and maintain innovation. Innovating means disrupting — challenging the status quo even for very successful products. At my company, RingCentral, we serve a growing customer base that relies on our suite of cloud communications products to run their own businesses. In support of that, we drive innovation in three different ways: by inventing and building new, native products in-house, through acquisition, and through partnerships. For examples of each of these three types of innovation, and for more of my thoughts on what innovating means, please click through to read my full piece on the Huffington Post. What types of innovation excite you? Lately though, I’ve been getting a lot of pointed questions about my upbringing: Did you play with Legos? Did you always love math? Were you allowed to study art, history and literature? The reason for the curiosity is clear. As a female tech entrepreneur in a predominantly male industry, people are interested in how my environment encouraged my academic and professional path toward technical learning. More than ever, parents of young children are concerned about how to enable their children to succeed in a world where traditional occupations and industries have been upended by technology. Parents of girls especially worry that the best jobs will go to graduates who master science, math, and technology education (the so-called STEM disciplines), which tend to attract more boys. We’ve all seen the media stories about the unemployed philosophy majors. Recognizing that every child is different, I do believe that there are certain elements of my unconventional upbringing that prepared me to be comfortable and happy building a career in a technical field. All parents pour their hopes and dreams into their children, but I now know my parents invested in me in the right ways. From early on, they provided me with the right tools to continue developing myself as an older child, teenager and into adulthood. Based on my experience, below are my top five takeaways on how to prepare a child (and especially a girl) to be prepared for a technical career. My parents did not encourage dolls, and I didn’t gravitate to them. I liked Legos and building things. My father was an engineer who designed toys in Russia. He and I would build miniature models of houses. We built whole cities with railroads and cars. The floor of my room was always crowded with our playthings. 2. Encourage sports, and not just girls-only teams. I liked all kinds of sports. When I was younger, it was bicycles, badminton, and ping-pong. 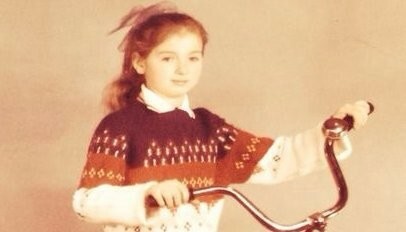 I was always fast — faster than most boys early on. I loved ice skating, and because I was very fast, I could play hockey with boys. For this reason, I always had a lot of friends who were boys. I grew up comfortable around boys, confident in my natural ability and with very little fear. 3. Treat your sons and daughters as individuals, not as gender stereotypes. As an only child, my parents gave me lots of attention and treated me purely as an individual — not like a stereotypical girl. My dad treated me the same as he would any son. We played hockey together, and he took me to sporting events. 4. Emphasize the importance of leadership at an early age. My mother, a Russian-literature teacher, encouraged me to be a class leader and participate in class (even if I found the lessons boring). She and I had long talks about leadership. She impressed upon me the need to excel in school. Even a B was unacceptable. I became class president in elementary school and learned to enjoy leading others. 5. Pursue music, chess and logic problems. I practiced piano for two hours a day, loved the math olympiad, and enjoyed solving logic problems in my spare time. These weren’t treated as nerdy or antisocial but as valid and valuable pursuits to develop my mind and capabilities. This piece originally appeared on Time.com on August 1, 2014. It also appeared on LinkedIn on June 9, 2015. This entry was posted in Blogging on June 9, 2015 by Kira Makagon. In February on the Huffington Post, I wrote about how Silicon Valley thinks women equal success. Ongoing, I plan to share examples of high-impact women leaders in high tech. In that HuffPo piece, I referenced Cindy Padnos, founder of Illuminate Ventures and a mentor of mine. With an impressive list of advisory board members that includes a significant number of women, Padnos’ early-stage VC firm illustrates that there can – and, I think, should – be more women at every leadership table. Oftentimes, it seems that equal gender representation seems far off not only in the Valley but in any boardroom. When we celebrate that there actually are a host of women doing amazing things in positions of high tech leadership, the high tech landscape will be a lot more desirable for future generations of women. Donna Horton Novitsky: Donna is CEO of Yiftee, a digital gifting solution. As her profile on Yiftee’s site reads, “Depending on how you count them, Yiftee is Donna’s 3rd or 19th start-up. She is also a former partner of a top tier venture capital firm [and] teaches marketing to engineers and entrepreneurs at Stanford University.” When I ran engineering at Scopus, Donna was the VP of Marketing at Clarify; Clarify and Scopus were competitors. I held her in very high regard then, as I do now. We sit on the Illuminate council together. Amal Johnson: Among her past positions, Amal was president of Baan Americas, which made enterprise software. She was also at Lightspeed partners when Lightspeed invested in Exigen, where I was president. We now serve together, along with Donna, on the Illuminate advisory council. Listing Amal’s many advisory board positions would be exhausting, and those many honors reflect that she and her leadership capacity are held in very high regard. Victoria Treyger: Currently CMO at Kabbage, which provides instant financing to online merchants and small businesses, Victoria was CMO at RingCentral prior to my joining the RingCentral team. Originally, I met Victoria through RingCentral CEO, Founder, and Chairman of the Board Vlad Shmunis when Victoria worked at Travelocity. I remain impressed by the career she has built in marketing leadership in high tech. Heidi Roizen: Currently Operating Partner at Draper Fisher Jurvetson, Heidi is a Silicon Valley native who founded and served as CEO of T/Maker, an early personal computer software company. She serves on a number of advisory boards and teaches a class called “Spirit of Entrepreneurship” in Stanford’s MS&E department. Along with Donna and Amal, we sit on the Illuminate council together. I met Heidi through my uncle Nahum Guzik, an entrepreneur and inventor; Heidi’s father and my uncle were good friends. 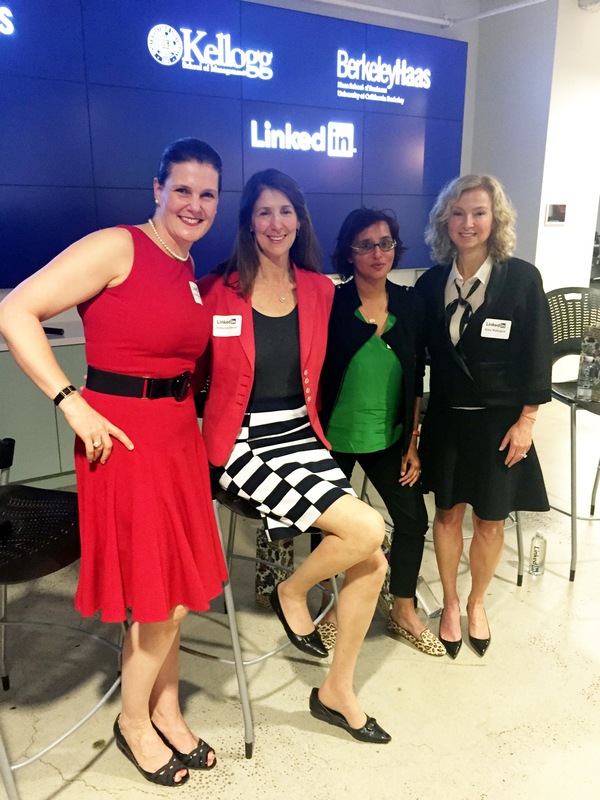 Heidi’s networking prowess is legendary; in fact, there is an HBS case about it. Leyla Seka: Leyla is SVP & GM Desk.com at salesforce.com. 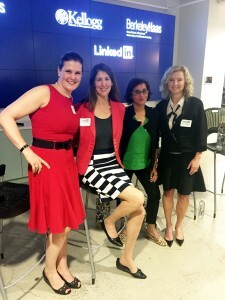 I have enjoyed it when our paths have crossed at women in leadership events. Importantly, Leyla has played a significant role in the advancement of women in positions of tech leadership: she inspired Salesforce.com CEO Marc Benioff to guarantee equal pay for women in their company. Leyla, Heidi, Donna, Amal, and I serve on the Illuminate advisory council together. This is just the beginning of a list of impressive women with whom I’d love to have a dinner table conversation about the future. I’d ask these women for their thoughts on gender-neutral workplaces, and I’d also ask them how they’d encourage future generations of women to follow in our footsteps. This entry was posted in Blogging on June 4, 2015 by Kira Makagon.